Stacey Sowards, Chair of the Department of Communication at UTEP, discusses her latest book Sí, Ella Puede! 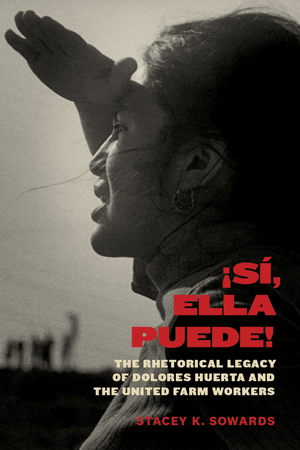 - The Rhetorical Legacy of Dolores Huerta and the United Farm Workers. This unique study of the life and legacy of activist Dolores Huerta explores her integral role as a leader and organizer in the fight for farmworkers’ rights from the 1950s to the present.